St. Louis artist, Terry Hinkle, has been creating art since he was old enough to hold a crayon. 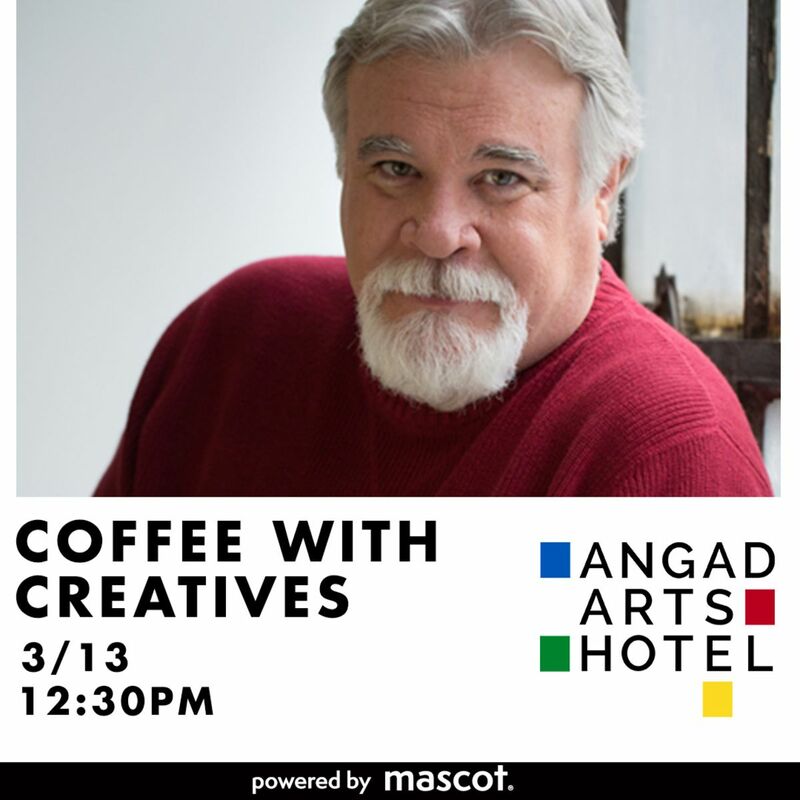 He received his Bachelors Degree in Commercial Arts and Business from the University of Kansas and, after graduation, began his career as a commercial artist, illustrator, and designer. He quickly moved to the creative business of advertising, promotion, and marketing. Terry’s new abstract, and figurative mixed media paintings are part of a vision that he has dreamed of creating for over 40 years. He finally found the way to break the confining bonds of commercial art and dive into the exhilarating flow of the unstructured, pure creative energy that makes up his new artwork. Terry explained that many times he wakes up from a dream with a complete vision of the finished painting in his head and has to rush to capture it before it fades away. But most days, he does a simple meditation before entering his studio to clear out all of the ‘human’ noise and set his creative intention for the day. Then, with a clear, uncluttered mind, Terry selects the wood or paper or canvas that he will start with, and happily enters that intoxicating stream of creative energy, never knowing where it will take him. Terry is so happy to be on his new path of freedom. It is a journey of pure emotional and creative expression that he is excited to finally be a part of. Quite a few of Terry’s new paintings are created with Iron, copper, and bronze paints that are then oxidized to weather and rust. He very seldom seals the paint when finished so that it can continue to live and make beautiful subtle changes over time.